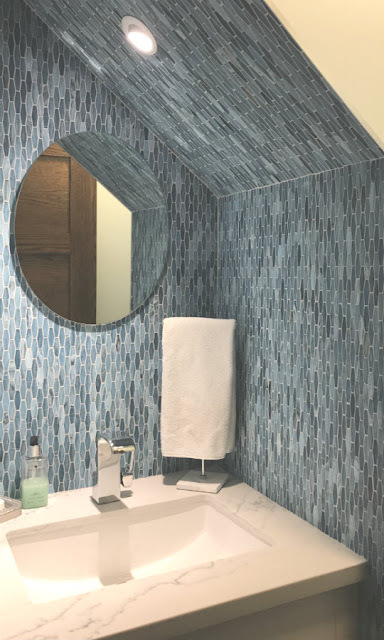 Looking for a Toronto bathroom contractor who can work with you or work with your designer to come up with a bathroom renovation that you can be proud of? Look no further, as Toronto Custom Concepts works with some of the top Toronto interior designers to make your renovation project amazing. We also have our own full time designers as well to work with you to come up with a design that works with your style and budget if that is your preference. For those who know exact what they want we can also work with our clients directly by leveraging pictures of current renovations that they have bookmarked or snapped that they would like to replicate as part of their own remodelling project. At Toronto Custom Concepts, the choice is always yours of how you would like our designers and contractors to work with you on your next bathroom renovation project. Here is a picture of a recent project we completed where TCC worked with one of the top Toronto interior designers on her recent renovation project.